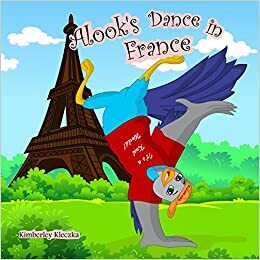 Alook’s Dance in France is about a magical and colorful journey around the world, which ends in Paris, France where Alook learns how to do the Koolamundo street dance with his new international friends. Alook also has an enchanted magic bead that he carries with him wherever he goes. His home, personal belongings and travel journal are kept safe inside of the magic bead until he needs them. Alook is eager to learn more about the world we live in and his enthusiasm for nature and other cultures comes through with his rhyming stories and songs. This children’s book has vibrant eye-catching colorful illustrations, which help children visualize the story. Color is a dynamic stimulation and plays a very important role in learning, as research has shown that 50-60 percent of our brain is used for seeing. Alook is a fun loving, friendly, and a little quirky bird that enjoys lots of adventure and traveling around the world. He is on a mission to entertain and delight all of our wonderful children. Along his journey’s, he likes to collect memorabilia to remind him of the wonderful memories and special friendships that he makes along the way. Alook’s Dance in France comes with a very lively sing-along song that can be downloaded for free. The song features a Caribbean flavor, with steel drums and the sounds of a tropical rain forest filled with an assortment of bird sounds. Alook’s song has a beat that makes everyone want to get up and dance as they join Alook’s adventure. Alook’s Dance in France is entertaining and is perfect for preschoolers at bedtime as well as a self-read book for older children. It is also a great rhyming book for toddlers and a perfect early reader book. Rhyming teaches children who are learning to read about the patterns and structures in both spoken and written words. Rhyming and songs expose children to the rhythm of language, which helps them read with some animation in their voice instead of just a monotone voice. Rhyming also helps children learn about word families such as fun and sun, or wide and stride and so on. For instance, if your child is learning to spell, if they can spell door, they can spell floor and if they can spell song they can spell long. Have you ever seen kids sitting and happily listening to someone reading in a monotone voice? I haven’t. If you want to hold a child’s attention, read with inflection and animation, and they will sit glued to your voice. Rhyming and rhythm are very important skills that help a young reader learn to use inflection and animation when reading aloud. Rhyming also prepares kids to make predictions while learning words and gives them crucial interpreting skills. 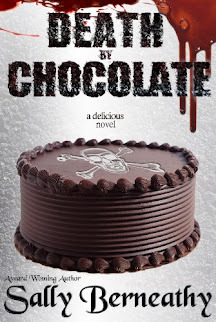 Another free download that comes with Alook’s Dance in France, is an audio MP3 file of the author Kimberley Kleczka introducing the story and read by Anthony Greco. Your children can read along with Alook or just listen and enjoy.